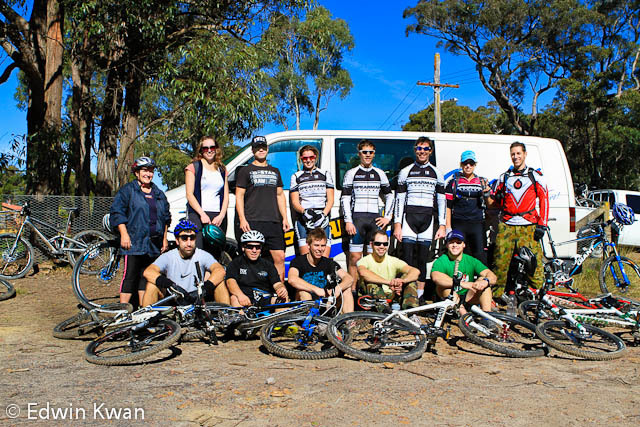 Last Saturday, VO2 Vitality and Spearman Cycles organised a mountain bike ride day up at Appin XC Ring Track. It was a great opportunity for those who haven’t mountain biked before to give it a go; and there were people from all experience levels that day. We met at the gates to the ring track at 8am that Saturday Morning. There Ryan, Cameron and Jessica from Spearman Cycles helped pair us with demo bikes and adjusted the bike and seats according to suit us. Once everyone was geared up, we were off! Being a first time mountain biker, it took a while to get used to riding in the trails. Having only ridden on road bikes prior to that day, I was used to slowing down and trying to avoid rocks and other obstacles. With mountain biking, its completely different, there’s rocks everywhere and slowing down doesn’t help as there are times when you need the momentum in order to get past the rocks. We were also taught how to accelerate and lift our front wheel followed by our rear wheel in order to ‘climb’ up the rocks and also how to shift our body weight to the back and level our pedals while doing down hill. Despite that, I was still able to have a massive stack and flip the bike because I had my weight body towards the front while doing down hill. It was so much fun and we even did two river crossing along the track! 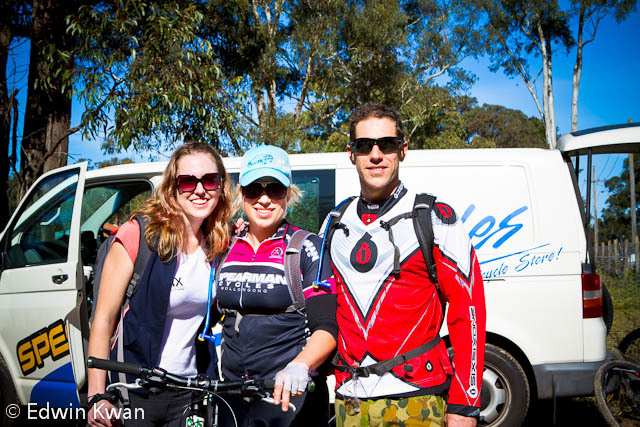 Thanks to Brendan from VO2 Vitality and Ryan, Cameron and Jessican from Spearman Cycles for organising this! 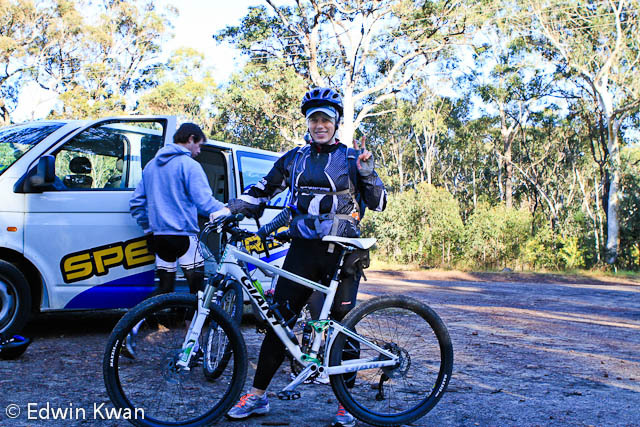 If you are interested in trying out mountain bike riding, check out Spearman Cycles to see when their next demo day is. And if you’re looking at increasing your mountain biking fitness, contact Brendan from VO2 Vitality about their TRX suspension training!